Miami’s recent run on commitments continued Thursday when Carol City three-star cornerback Jarvis Brownlee gave a verbal pledge to the Hurricanes while in Coral Gables on an unofficial visit. Brownlee, who is ranked by 247Sports as the nation’s No. 87 cornerback this cycle, picked UM over Pittsburgh, UCF, Cincinnati, Boston College, Syracuse and USF. Brownlee previously had stated that he grew up a Hurricanes fan, but he claims that’s not the main reason why he plans to stay home and play for the hometown school. 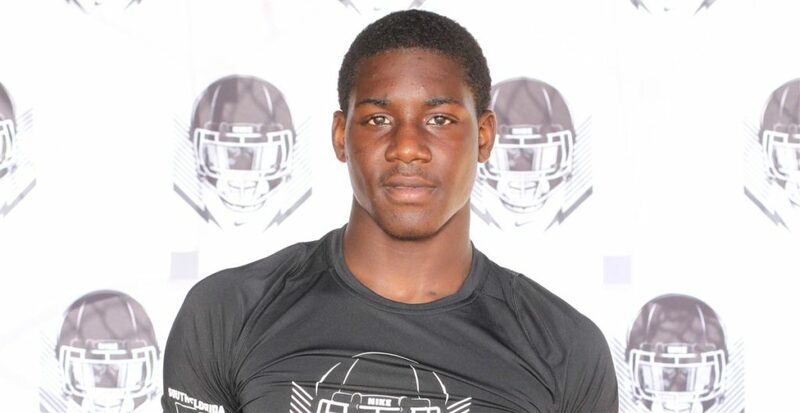 While the rising senior not have the most stars next to his name, he’s a prospect that UM thinks can make a ton of plays at the next level hence why defensive coordinator Manny Diaz offered Brownlee a scholarship last month following the spring evaluation period. Mike Rumph and Demarcus VanDyke were involved in the recruitment, as well. 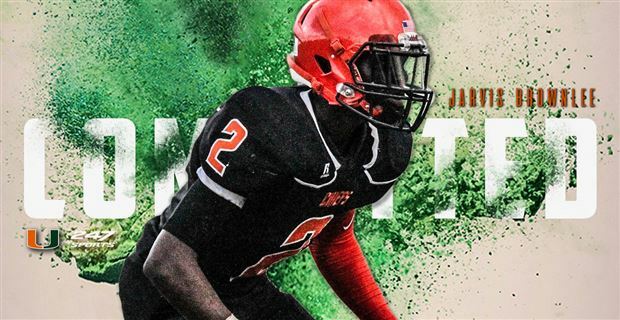 Brownlee first started to make a name for himself back in February on the 7-on-7 circuit where he played lockdown defense on the boundary for a loaded South Florida Express squad. SFE head coach and founder Brett Goetz thinks the Hurricanes might be getting a steal. “Jarvis came into the offseason without a lot of hype, but certainly proved that he is one of the elite players down here. He was certainly as good as any of our players on our team and was a big part of us winning the 7-on-7 National Championship,” Goetz said. 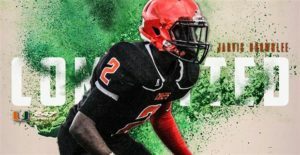 Brownlee (5-11, 170) becomes commit No. 14 for Miami in a recruiting class that currently sits inside the Top 5 of the industry-generated 247Sports Composite Team Rankings. He joins Altamonte Springs Lake Brantley three-star athlete Damarius Good and Fort Lauderdale St. Thomas Aquinas three-star defensive tackle Jason Munoz as prospects that have given a public commitment to Mark Richt & Co. over the past two weeks.